My father's favorite season was the summer, due in no small part to his birthday falling on August 14th. He grew up in Queens, New York, and learned how to swim in Jamaica Bay. He taught me how to swim, and so many other lessons during the summers. Daddy worked long hours as a CPA, and also went to school nights to get his MBA in the early 1960's. Often he wouldn't get home until after the late evening news. But in the summer, he would rush home earlier from work to my mother and me for supper by 5:30 p.m. so we could then go on our favorite excursion. We three would get into the huge blue Chevy sedan, and while Daddy was driving, it seemed as though the car itself knew our destination: Jones Beach. Our car windows would be rolled down, and my father would comment about how invigorating the air felt after working all day in the piping hot city. The trip was about a half hour, and we would catch that first scent of salt in the air minutes before arriving. I can hear Daddy saying how much he loved "the cool breeze coming off the water." 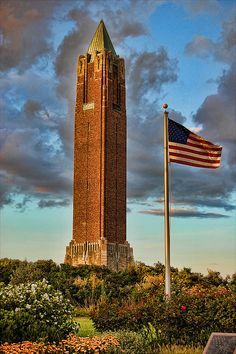 Once our car passed through the Jones Beach Toll Plaza, my mother and father would encourage me to tell them what landmarks we would be coming upon as we made our way to the parking at West End I. As a preschooler, I already had an excellent memory, and enjoyed showing it off to my parents. I was awed by the Jones Beach Water Tower, and believed it to be some sort of mystical temple. While the architecture was quite different from our parish church directly across the street from our home, I thought the water tower was another type of holy place. My adoration for Art Deco began that day, and I remember Robert Moses in my prayers. After a long hot day, this excursion refreshed us body and soul. Once we parked, my mother would dress me in a gray zippered sweatshirt, a miniature version of the one Daddy wore. We walked past the empty shuffleboard courts and the closed concession stands. I would run ahead on the boardwalk, and then stop and wait for my parents. I don't know who was more excited about getting their toes in the sand, my father or me. He held my hand tightly as we would walk up to the very edge of the water to feel the ocean rush up and over our feet and then flow back out again. I would turn around and my mother would be smiling at us. She never learned how to swim, but she still felt the joy of our communion with the water. I thought my Mommy was the most beautiful woman in the world, and she was radiant. Then my parents would walk with me on the beach, one on either side of me, and would enact the ritual of lifting and swinging my small body in the air. I felt thrilled and delighted and treasured. We would stay until just after sunset which would fall around eight o'clock. My father would carry me back to the car. I would struggle to remain awake on the ride home and look out the window at the night sky, convinced that the moon was following us, but ultimately surrender to sleep. I felt such perfect sweetness and security then. When I am sad that my father has died or that time has marched on and left some painful imprints, I go to these memories and know that I was so loved. What a great memory! I lived in Queens - Little Neck - until I was ten, and I have fond memories of similar outings to Sunken Meadow beach. And of course, Jones. But my mother liked to find beaches that were a bit hidden and less crowded. Thanks for bringing back wonderful memories!